We’re lucky to have partnered with some awesome organizations to deliver great workouts to the masses. Make sure to show them some love! 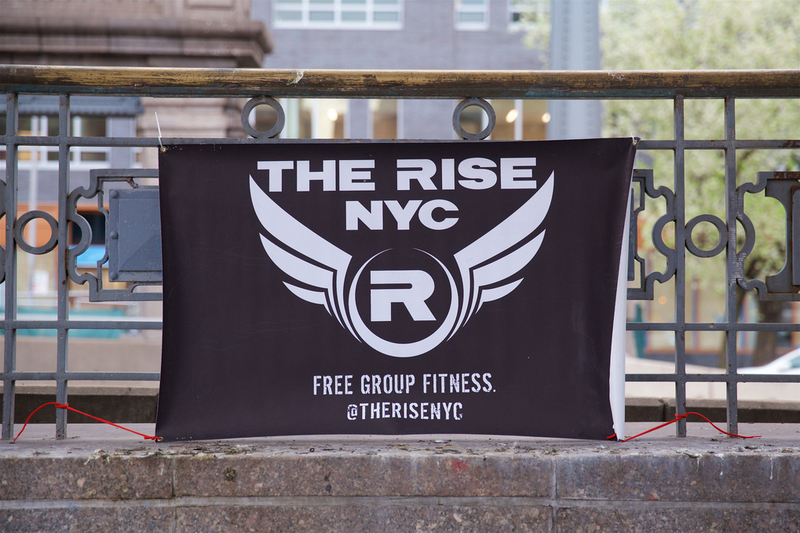 The Most Informal Running Club, Ever (or TMIRCE) is a free running group that meets in lower Manhattan. They are our most special partner, because they are our sister group! Many of the same faces you’ll see doing Burpees in Washington Square Park Monday morning will be at the East River Track that night making left turns. They’re the most high fivey runners in New York City and nobody should go through life without checking out one of their runs! OutdoorFest is a ten day festival that celebrates the great outdoors – right here New York City! We’ve had the pleasure of leading a workout for them every summer since 2014! Make sure to check their website for details. The festival usually happens in June and it’s always a good time! We’ve had the pleasure of leading workouts at TWO of the NYC Parks Department’s events in 2016! The first was Adventures NYC in Central Park. And the second was Fall Field Day, which took place in Queensbridge Park. Both were perfect opportunities to show our passion for getting our heart rates up and our high fives on!